STEVE BRUCE - ARSENAL CAN WIN THE PREMIER LEAGUE! 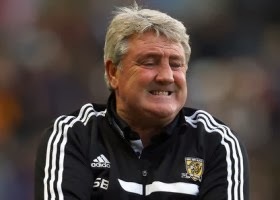 It has been reported that Hull City boss Steve Bruce believes tonight’s opponents Arsenal look like champions. The 52 year old is under no illusions about the challenge that awaits his squad. “Absolutely they can win the league,” he said of the table-topping Gunners. “We’re a third of the way through so why can’t they? They’ll be like anybody else, hoping their big players stay fit, but when you look at their squad they’re a match for anybody. “The problem with Arsenal is how do you set up against them? They’re fluid in their movement and their interplay. They interchange positions…where does Jack Wilshere play? where does Mesut Ozil play? “There’s a freedom that makes it very, very difficult.